.:Soul:. Licks We Love Roleplay! | .:Soul:. .:Soul:. Licks We Love Roleplay! Oh, and when we say all those textures? We Mean it! 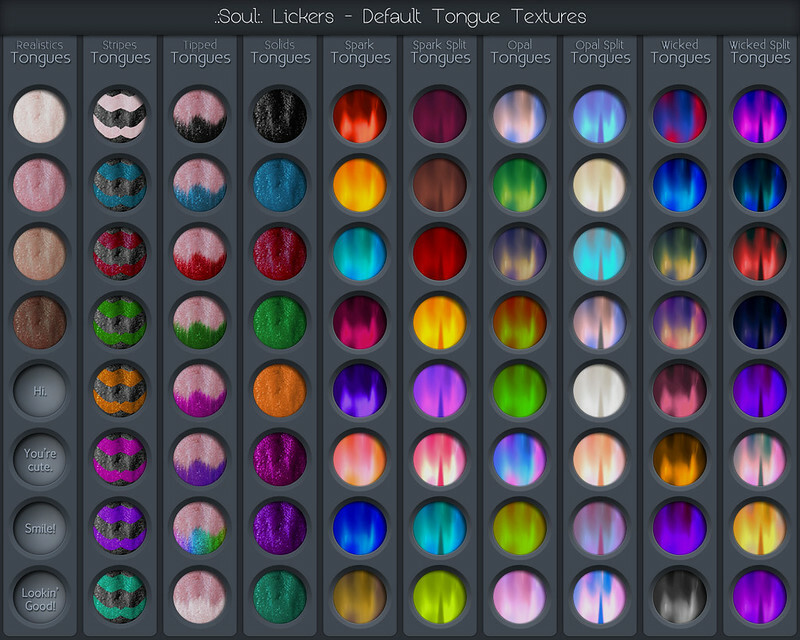 Those beautiful Goo textures are created by the lovely Dead Rain too! You can see more of her items, currently eyes, on the Marketplace. This entry was posted in Body parts, Events, New Releases, Sales!, We <3 RP! and tagged Animated, Dragon, fantasy, Goo, Hiss, Lickers, Liz, Lizard, mouth, Realistic, Snake, striped, tipped, tongue, We <3 RP!. Bookmark the permalink. ← Rainboe V.I.P.s Group Gift @ . :Soul:.